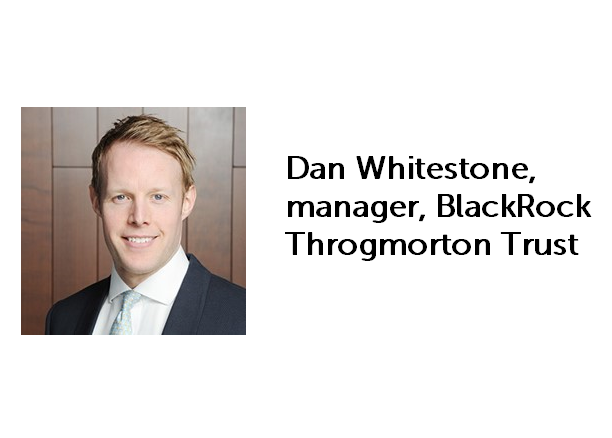 BlackRock Throgmorton Trust (THRG) has announced its annual results for the year ended 30 November 2018. While THRG’s net assets fell during the year, the trust has provided a return substantially ahead of the benchmark index. Specifically, THRG provided NAV and share price total returns of -2.7% and +1.8% respectively, which it says compares against a -9.0% from its benchmark index, the Numis Smaller Companies plus AIM (excluding Investment Companies) Index. The chairman, Christopher Samuel, says that “This is a notable achievement by your investment manager given that 2018 has been a challenging year for UK Smaller Companies”. Key extracts from the manger, Dan Whitestone’s, report are provided below. “Despite what can only be described as a challenging year, particularly due to the underperformance of small and mid-cap companies, the Company outperformed the benchmark by +6.3% during the financial year net of fees. The NAV per share of the Company returned -2.7% on a total return basis, ending the period at 519.08p, while the benchmark fell by -9.0%. Ongoing shifts in geopolitical sentiment, both in the UK and broader global economy, have resulted in large swings in markets during the year. Despite the wider macroeconomic headwinds we have continued to focus on company fundamentals, which has enabled the Company to benefit from a number of stock specific successes during the year. Notwithstanding strong stock specific wins, a market that falls 9% is undoubtedly a challenge for a predominantly long-only vehicle. It is therefore pleasing to be able to highlight that during this challenging year the short book has delivered a positive return of 1.4%. This contribution, we feel, showcases the benefit to investors of the structure of our Company and the ability to hold both long and short positions, offering a differentiated source of alpha to many peers in the sector and enabling us to navigate challenging market environments. The largest positive contributor to performance during the period was insurance company Hiscox, the Company’s largest holding as at 30 November 2018. The company has benefitted from continued strong growth in its US retail business and from an improving outlook for the London market business as prices have firmed. In recent market volatility Hiscox has outperformed on a relative basis due to its defensive characteristics and uncorrelated source of returns. We see Hiscox as a well-managed insurer, which has a successful long-term track record of positioning the business towards areas of growth with sustainably higher returns, which the market has persistently underestimated in our opinion. Our holding in IntegraFin, a UK savings platform for financial advisers, delivered strong results despite stock market volatility. This was a share we purchased at IPO earlier in the year, attracted to its differentiated business model, owning its own technology and operating in an industry with many secular growth drivers. YouGov, a long-term core holding, continues to deliver strong organic growth and improving margins with profits significantly ahead of consensus and continued upgrades to guidance. The company has been successfully delivering on its strategy of expanding and developing data analytics products for specialised sectors beyond its traditional market research business, which we believe offers a large opportunity for growth. Other notable contributors from the long book have been Fever-Tree, which continues to beat profit expectations, video games developer Sumo Group and marketer of promotional products, 4imprint Group, which has continued to trade well, beating forecasts and raising guidance, as investment in brand marketing has resulted in a strong increase in new customers. As mentioned above, our short positions in aggregate have made a positive contribution to overall performance during the year, which has been thanks to some significant stock specific wins in the short book. The largest of which was from a position in a UK wholesaler of alcoholic beverages, which in the space of a couple of weeks issued negative profit revisions, announced an unexpected tax bill to HMRC, an increase in its net debt position, and a failed capital raise, before finally going into administration. We opened a short position in this company after we began to question the rationale of an extremely large acquisition. The deal was financed by a huge amount of debt and management claimed this would unlock significant synergies, which evidently failed to materialise. Our position contributed more than 40bps to the return of relative performance during the year. Another significant short contributor came from a UK contracting firm, which fell heavily in November on the news it required an emergency rescue rights issue to strengthen its balance sheet. We have held a short position in this company for some time, concerned by its liabilities and weak cash generation. Interestingly, this company has publicly stated that “a number of lenders have indicated an intention to reduce their exposure to the construction and related sectors, which may affect the confidence of other credit providers and liquidity in the medium term” and also that “potential clients and customers are increasingly focusing on service providers’ balance sheets”. These developments with key stakeholders have significant implications for the wider sector. We feel well positioned to benefit from this, being short several other companies in the sector, to which we have added recently. We have also added to other over-leveraged companies with aggressive accounting policies that are now facing more scrutiny from the wider market. We turn now to what has not worked so well during the year. Of the largest five detractors, two were shares that we do not own. One of these companies simply did not meet our investment criteria. The other was Fidessa, a UK software company we greatly admire (and should have owned), which received several bid approaches during the period. Shares in document management business, Restore, fell in response to the company highlighting some weakness within its shredding division, as well as being caught up in the general sell-off in domestic UK smaller companies. Short term project delays in the UK’s road programme and adverse weather in the first quarter impacted shares of Hill & Smith. We have subsequently sold the position. “As discussed in the interim report, following the change to a sole manager structure we have taken steps to increase the concentration of the portfolio by selling a number of smaller lower conviction holdings. As a result the portfolio has gone from holding 174 stocks at the end of November 2017 to holding 131 at the end of November 2018. As we have already alluded to, the UK small and mid-cap universe continues to generate a rich source of exciting new and innovative businesses for us to invest into. Craneware is one such example of a new purchase that fits the bill. Craneware is a UK listed software company, where their core database is the market leader in US hospitals, helping them manage all their procedures and products with the correct authorisation code to ensure hospitals are correctly reimbursed for the work they carry out. They have since layered on further analytical tools to help hospitals reduce costs, which plays well into a sector where operational costs continue to rise in absolute terms and as a percentage of sales. The rising market continues to present short opportunities in many consumer services businesses facing structural headwinds such as digital disruption or low cost/specialised formats, or cyclical pressures, particularly in UK domestics, from falling demand and rising cost pressures. Relative to our benchmark we are overweight Media, Software and Computer Services and Healthcare. Within Media our largest holding is Ascential, an international business which owns focused media assets, including the Cannes Lions International Festival. Through its acquisitions it has been expanding its ecommerce analytics strategy to provide much needed insights to the global consumer brand companies that are confronted with the shifts in distribution of products via ecommerce platforms such as Amazon and Alibaba. Within Healthcare our largest position is Dechra Pharmaceuticals, the veterinary product manufacturer which is also very internationally exposed, has strong products and operates against a positive industry backdrop. Our Software and Computer Services holdings include Aveva, Craneware and Xero, an Australian listed accounting software business which is utilising cloud based technology to undermine the profit pools of legacy ‘software in a box’ accountancy software businesses, as well as disrupting a large global market of white space where their software can replace spreadsheets. Changes in distribution is one area that we are particularly drawn to, which is currently often evident in these sectors. This is creating pressures for many legacy incumbent business models of which we are short, as well as revealing a wave of exciting dynamic emerging companies which we are exposed to on the long side. In Mining and Oil and Gas we have very limited exposure to these sectors, because many of these companies fail to meet our investment criteria. We have deliberately reduced some of our growth cyclicals, notably Industrials, reflecting rising headwinds in certain industrial supply chains. The short book continues to target the same areas that we see as over-earning or under structural or cyclical pressure. The long book remains exposed to specific investment cases, often where companies have harnessed the power and convenience of technology in a capital-light model that disrupts mature profit pools. Many of our short positions are within Consumer Services, either facing structural headwinds (digital disruption, low cost or specialised formats) or cyclical (weakening consumer demand, rising cost pressures). And as discussed above, we have short exposure to over-indebted cyclical companies facing slower growth. “In relative terms 2018 has been a strong year for the Company, delivering +6.3% outperformance. The final two months of the period were a difficult period for our style given the sell-off in quality and growth shares. Regardless of the initial catalyst of the rotation/reversal that began in October, it is now far more important for us to determine what the implications are for global economic growth and what, if any, impact there will be on the earnings power of our investments. Our view is that recent volatility is more of a correction than the start of a ‘bear’ market or period of sustained GDP weakness; however we recognise the global growth outlook faces some notable challenges. We still think there is sufficient growth for differentiated companies to prosper, but the recent volatility we have seen is likely to persist and this is reflected in a lowering of our gross and net exposures. Despite the sell-off in a number of our long positions, in many cases we believe these will recover in time as the earnings outlook will not be compromised by macro factors. We continue to believe the UK domestic economy is challenged. This has had a notable impact on the share prices of many domestic companies with several market participants highlighting the value on offer. However, many of these UK consumer shares we think are “bad value” and whilst many of these UK consumer shares may appear cheap on valuation metrics like “price to adjusted earnings”, this fails to take into account the levels of debt and poor cashflow some of these companies exhibit. In many cases these same investments are also exposed to cyclical pressures (weakening demand or rising cost pressures impacting corporate profit margins), and/or structural pressures (digital disruption or competition from low cost or specialised formats). The rate of industry change is accelerating in our view, with many barriers to entry protecting the profit streams and returns of established businesses and industries coming under intense pressure. This is an exciting time to invest as we try to identify the new wave of emerging companies, as well as the requirement to be vigilant in detecting any flaws developing in existing business models. We believe that industry change, often in some form of disruption e.g. in distribution or manufacturing, or indeed changes in consumer behaviours, will be a key driver of stock market returns in the years ahead, both positive and negative.